(Newser) – More bad publicity for Scientology is on the way. The estranged father of leader David Miscavige plans to write a memoir, reports the Hollywood Reporter. 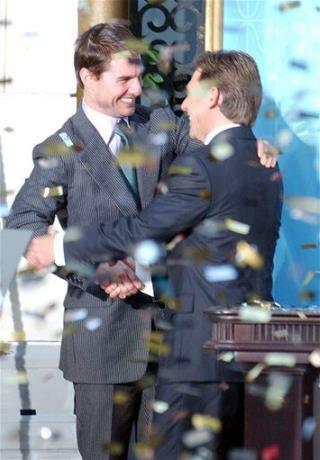 Don't expect the account from former church member Ronald Miscavige to be a glowing one: The working title is If He Dies, He Dies, which is what his son was quoted as saying upon hearing that his father was seen clutching his chest. Call the book, "20th Century Mormon"
Scientology is just more proof that the gene pool needs a good dose of Clorox.